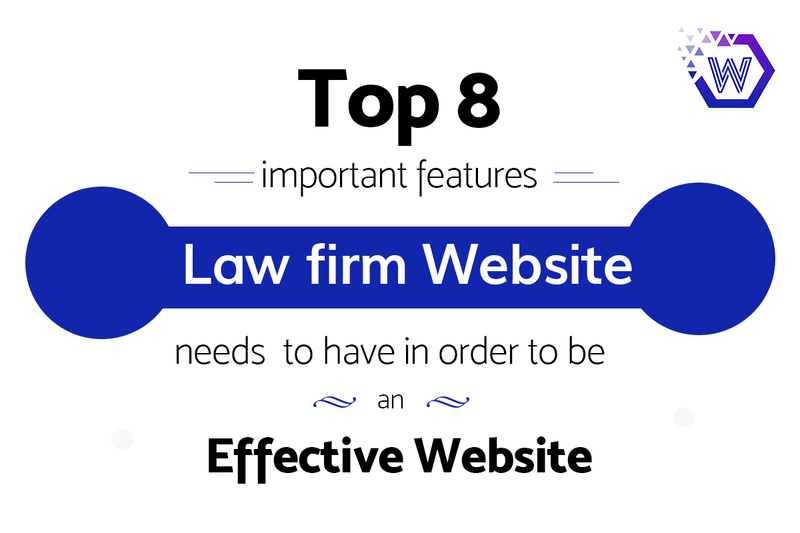 You may have heard of lawyers building websites in order to expand their business, but is this really required? Well, one-third of legal consumers start their search for an attorney by using online resources. 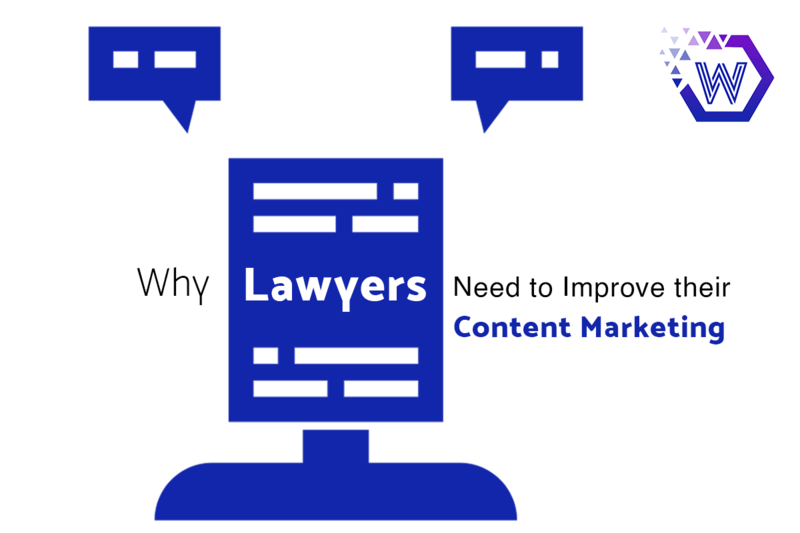 It is surprising to know that as much as 70% of law firms register new cases through their websites! 1. Brand Name Says It All! If you’re thinking of expanding your law firm’s online presence, you must have a significant brand name to go along. This is vital, and simply picking a random brand name will not work well! Your brand name is also listed in your domain name (the one you see in the URLs in the Address Bar). 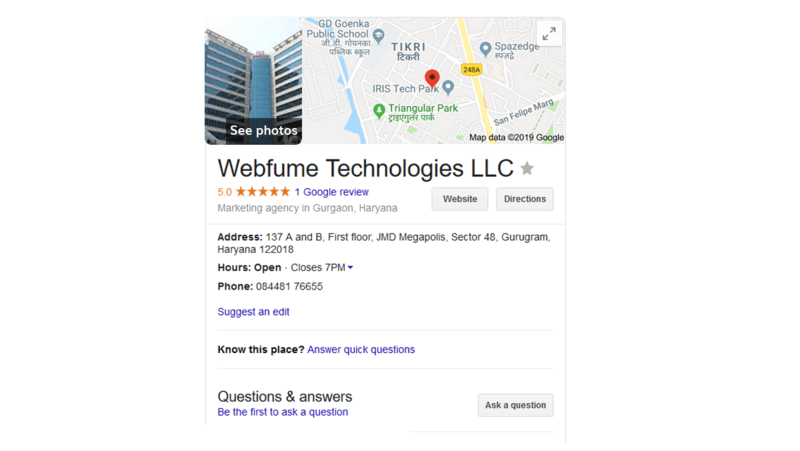 Suppose your brand name is Webfume Technologies. You would definitely have it in part or as a whole in your domain name, like www.webfume.com. Finding the right domain name which reflects your firm’s perspective, objectives, and is also easy to remember can be crucial… Seriously! 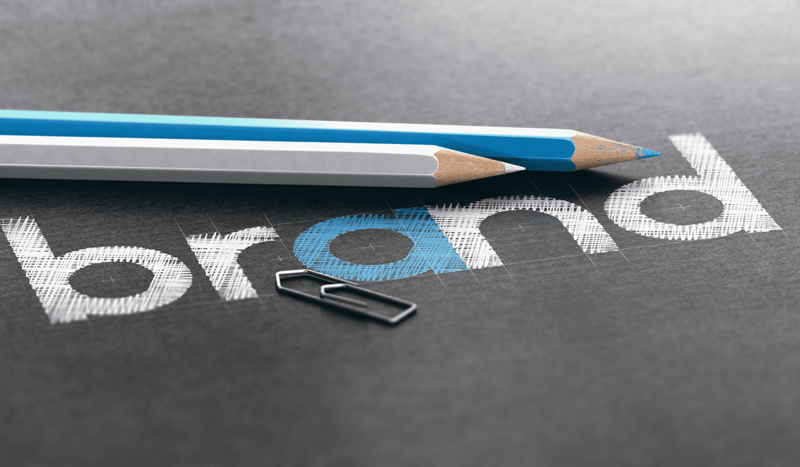 It is essential that you spend sufficient time to do research and come up with an appropriate brand name, which will also be relevant to your logo. Remember, your brand name and your logo should be able to reveal a clear picture of your legal business. There are numerous free web-hosting platforms such as Wix and WordPress. However, such free tools restrict you in various aspects. 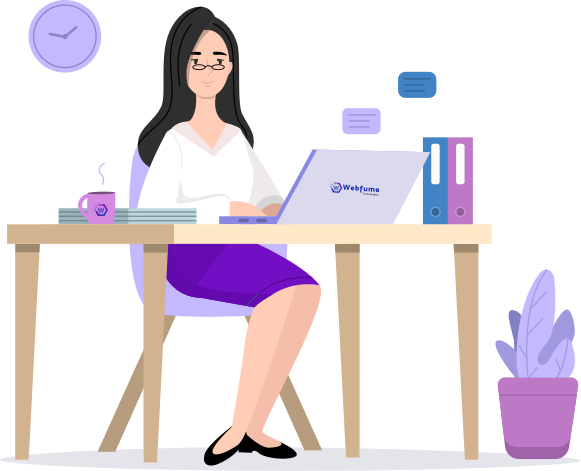 The problem with free web-hosting sites is that most of them would have the name of their product along with the custom domain name you choose for your site. 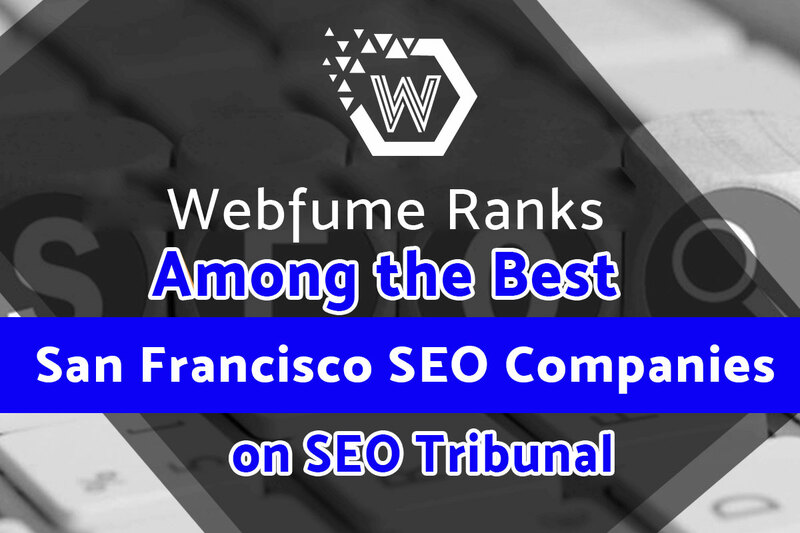 For example, www.webfume.wix.com or www.webfume.wordpress.com. On the other hand, a paid web-hosting will provide you a comprehensively customized domain name for your online law firm. For example, www.webfume.com. Thus, the paid web hosting gives you complete authority over your domain name. Well, getting a professional website with a fully-owned domain name does not mean you have to go for an extravagant web hosting plan! To opt for the most suitable hosting plan for your law firm’s website, you should know about the website size (number of the web pages), various functionalities, and the required space to store data files. Over the past few decades, there have been tremendous changes in the digital world. Additionally, online contact forms and Personally Identifiable Information (PII) sharing is on the rise! As an online legal service provider, it is your responsibility to provide a secure browsing experience for your website visitors and potential clients. For this, you need an SSL Certificate! It is digital authentication for your website that has the ability to encrypt sensitive information sent to your server. An SSL Certificate when installed on your website, establishes an encrypted connection between your client and your web server to keep the shared information (usernames, passwords, address, or even bank details) secure. You will be able to see HTTP in your website URL turning to HTTPS once you’ve successfully installed an SSL certificate. According to Google’s HTTPS encryption transparency report, 73 percent of web pages loaded in the US are using HTTPS in Chrome on Windows! 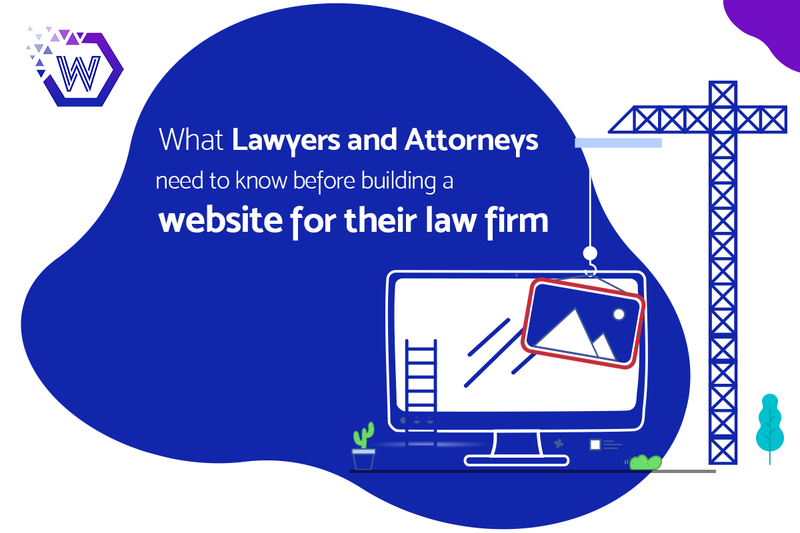 People usually associate a website’s design with the quality of its product(s) or service(s) and this is no different with a law firm. The first impression users have of a website are as much as 94% design-related. Even though it need not always be true, but having a clear-cut design increases your chances to get an edge over your competitors. According to a recent survey, 84% of respondents think that design-driven businesses are outperforming their competitors. So, following a color scheme that caters to the taste of your firm is recommended, as a clean design always enhances the user experience. A plain, text-only website is most likely to turn people away. Keep them engaged by including photos, videos, and gif images on your law firm website. It’s 2019! Make sure that the pictures used are of high quality. The .svg format pictures are of high quality and unlike other formats, they are smaller-sized and their scalability does not affect the image quality. These images will not look blurry on devices with high pixel density. You can also view it in major browsers like Chrome, Opera, Firefox, and Safari. For videos, let’s dive into some reliable stats for videos residing on law firm websites. The introductory videos on your legal website have a play rate of 3.1%, while the testimonial video rate is 2.1% and that of an explanation video rate is 6%. 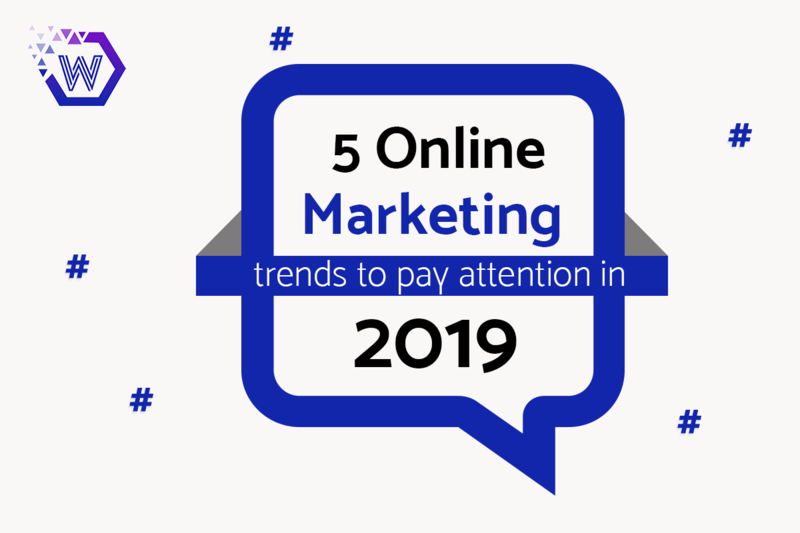 Well, these stats may seem to be disputing the value of video content on your website, but at the same time, these provide you an intimation towards the type of video you should incorporate on your website. Let me make it clear, ask yourself “why would you watch your website’s videos?” And you’ve got the answers in your head! Make sure the videos are created to give robust solutions of the major and minor pain-points of your audiences or visitors. Try to add explanation videos on your practice area pages, since it gives an indication that the videos would be speaking of a specific need. This also has a higher play rate. Include testimonial videos of your happy clients. This makes an influential factor for your new clients or visitors. 41% of the legal websites lack a clear call to action and as much as 74% of your prospects visit your legal website to take an action! Did you just realize a big mess? Use Call-to-Actions buttons to your advantage and make your action statements stand out from the rest. ‘Contact us’, ‘Know more’, and ‘Sign up now’ are some of the time-worn CTAs. You may also find something unique in this sphere. For example, ‘Register now for a free appointment’ has a greater impact than the former. As attorneys, you’d already know that using copyrighted content or plagiarism is like opening a giant can of worms. It does way more harm than good. Do not include pictures, videos or even music to your website which you don’t own. Using such elements without a proper license and approval may get you in some really serious problems! Copyright infringement has a severe violation under the Digital Millennium Copyright Act. Google could further complicate this by penalizing your site by making it disappear from search engines! Hence, before you incorporate any components, make sure they’re licensed, royalty-free materials or contents, even if they are already in the public domain. If you cannot find the information you are searching for on a particular website, how long do you think you’d spend on that website? But is that just so? Well, having all the pieces of information clubbed together on your site won’t turn things in your favor either. It is equally important to provide an easy navigation for your visitors. Users should find it easy to maneuver their way through the information provided. A site map at the bottom of your homepage would be of great help to your new users. Site reviews would also be of great help. Hire a professional to review your website (ex: from usertesting.com) or ask your friends, relatives, or family to do the same and request their honest opinions and suggestions for improvements. Make slight changes to your site occasionally. Include informative blogs and articles to inform users about the latest news and trends in the legal industry. People will return if your website is updated on a regular basis. 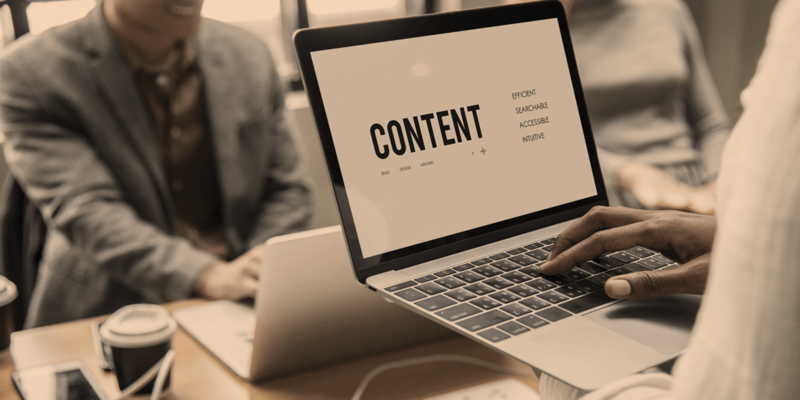 43% of the legal websites feature blog contents, but nearly 85% of those sites haven’t highlighted any of their recent cases. Now, most people don’t talk about the negative aspect of having blogs on your site. Confused right? Let me explain: If you do not upload new content regularly, your website would seem outdated. Nobody wants to visit an outdated website. Hence, if you ever plan to have blog page, consider updating it regularly with newer content. Information is pervasive, but that does not mean that your website should be packed up with every piece of information available! Try not to include too many of ideas, suggestions, and solutions just in one place! Think like your prospects and place your content wisely. Likewise, your website is not a place to show off your vocabulary. Use a language that can be understood by your prospects from all walks of life. Your writing should be crisp, clear, and to the point. 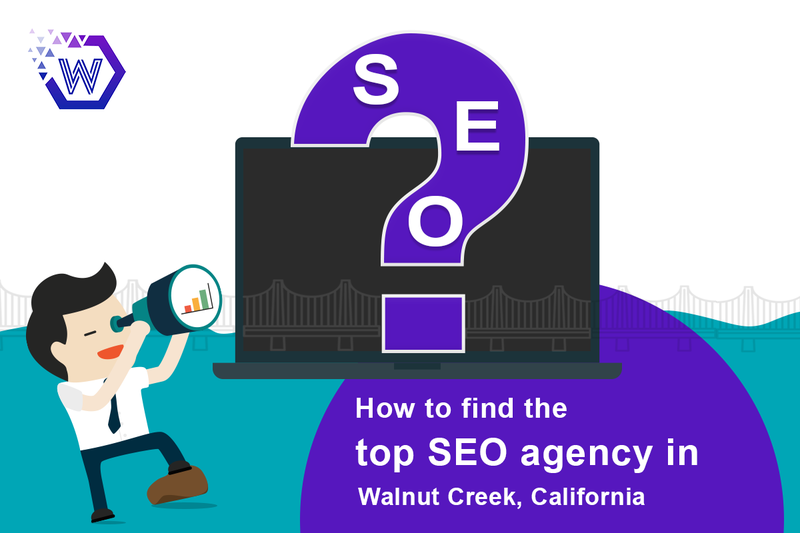 Moreover, it should be in some sense an answer to the significant queries that your prospects may have in mind when they land up on your website. In the era of 4Gs and 5Gs, it is imperative to have a fast loading website. When you really think about it, people have an extremely low attention span in the online world! A website that takes more than 3 seconds to load has a higher possibility of making its visitors leave the website. Don’t believe this? Stats don’t lie! As much as 47% people expect a website to load in less than 2 seconds while 40% of people tend to leave a website that loads in more than 3 seconds! The most important part of the content (also called critical content) should load faster than the less important details. As pictures and media files take a great deal of time to load, you may bring down the size of the HQ images by using different formats. For an instance, the time taken to load the official Amazon website on a normal internet connection is approximately 5.365 seconds while a website like Grammarly takes only 2.212 seconds. This is because there are more media files on Amazon. In simple words, having a lower number of media files would allow your website to load faster. While building the website for your law firm, it is important for you to look into its compatibility on different sized devices. FindLaw revealed that 31% of all law firm related web traffic came through mobile phones. Ironically, 31% of the lawyers’ websites under analysis were not mobile-friendly! In fact, websites that are using a popular web hosting site like WordPress (as it powers nearly 29% of all websites on the internet and is compatible with almost every digital device of every known proportion) are doing quite well. Local searches on Google are one of the means of finding potential clients. It is usually the reviews and the authenticity of the legal firm that attracts a user’s attention. Provide the link to your website under your business name to improve its legitimacy and encourage your previous clients to leave positive reviews on your business. Your authority is directly proportional to how you rank on Google’s search platform. DO NOT REGISTER MULTIPLE TIMES! Multiple registrations lead to Google penalizing your business for fraudulent or spam services. If one of your businesses is already registered under the same name, address or mobile number, make changes to it, as it would help your service rank better in local searches. In conclusion, instead of considering your competitors as your rivals, draw inspiration from the areas where they outperform you. A detailed analysis would help you find unique ways to deliver your services. This would always keep you a step ahead of the rest. I hope you found this information relevant!